If still you don’t know much about the workshop organization, about Abetenim and the wonderful Ashanti region, downloading the welcome pack at the link below you will find all the information you need about the workshop, the site and much more. download and fill the application form downloadable at the link below. For any other doubt don’t hesitate to contact us at this link or visit the contacts section from the main menu. 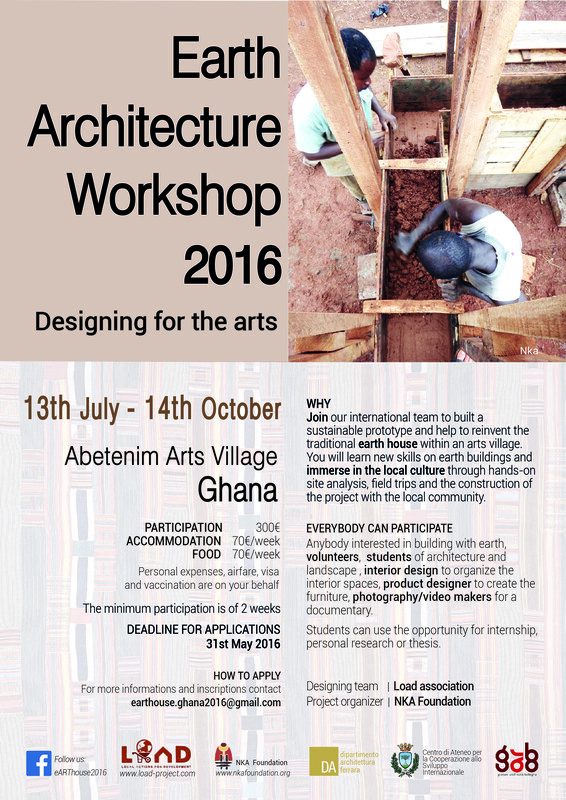 Don’t forget to follow our eARThouse2016 facebook page stay up to date about Earth Architecture Workshop 2016!